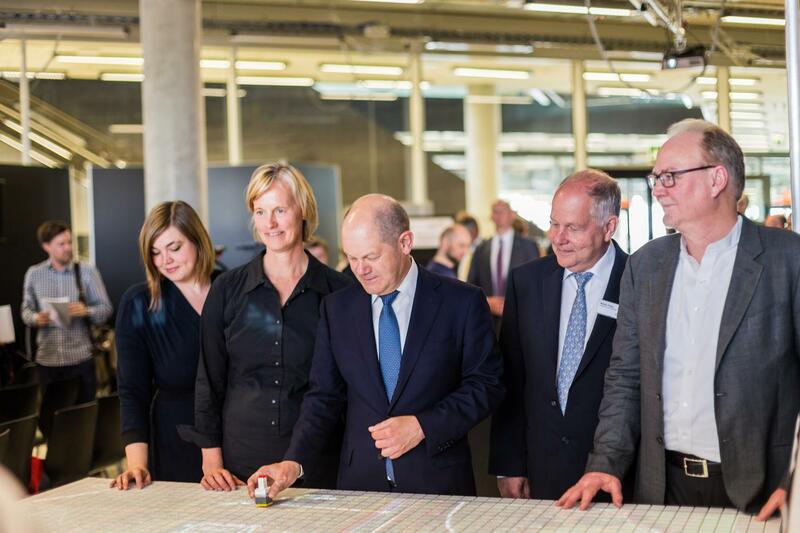 In reaction to the sudden arrival of tens of thousands of refugees in the city of Hamburg (DE) in 2015, the Lord Mayor requested the CityScienceLab (CSL) at HafenCity University to facilitate a public discussion and decision-making process on locations for refugee accommodation in Hamburg neighborhoods. With highly sensitive socio-political implications, this project demanded a well-designed technological and procedural approach. CSL employed an innovative Human-Computer Interaction tool, CityScope, to facilitate public participation and urban decision-making. A workshop process was also designed to help multiple participants and stakeholders interact effectively. 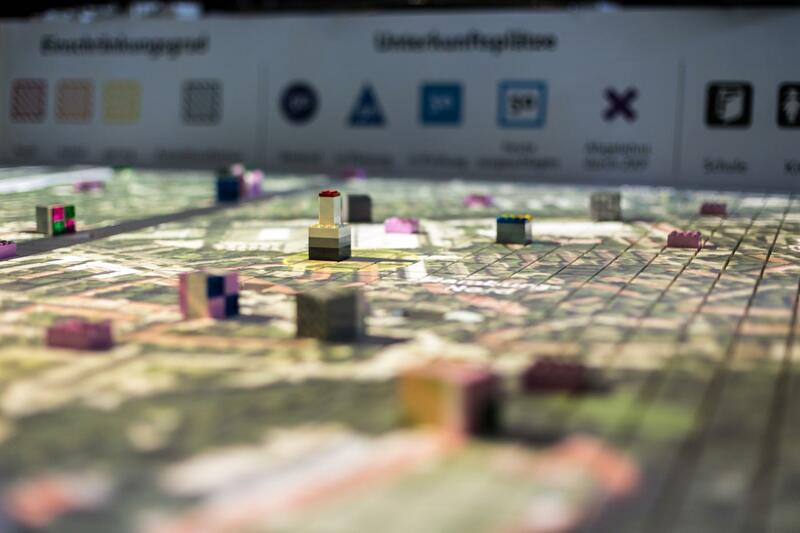 Running from May to July 2016, the FindingPlaces (FP) project enabled about 400 participants to identify 160 locations accepted by Hamburg’s citizens, out of which 44 passed legal confirmation by the authorities. Overall, on a qualitative level, the project facilitated surprisingly constructive and collaborative interaction, raising awareness and a sense of ownership among participants. Nearly 21 million people fled their home countries during 2015. A total number of 1.2 million asylum applications were filed in Europe, 442,000 in Germany alone. The persistent influx of asylum seekers posed major challenges for German federals and municipalities. As a consequence, available solutions were ad-hoc implemented, and in many cases refugees were accommodated in tents, warehouses, or gymnasiums. To enable a well-documented, accessible, and scalable citizen participation, MIT CityScope was proposed as a decision-making and knowledge-support tool. Featuring a Human Computer Interaction (HCI) urban modeling and simulation platform, CityScope is able to present contextualized information in an easy-to-comprehend and easy-to-interact manner. A series of public participation workshops were planned to be centered around interactive CityScope stations displaying task-related data to citizen groups as they worked out decisions. 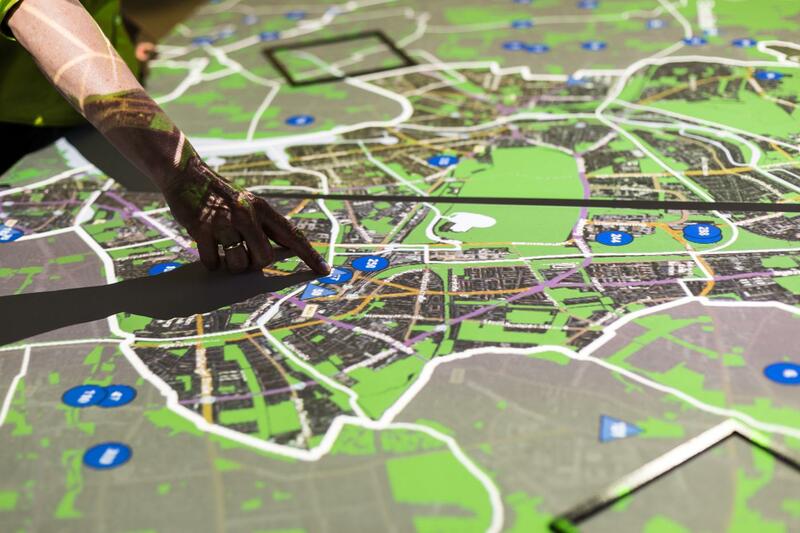 The main conceptual components of FindingPlaces included: 1) a workflow design for the overall workshop series, 2) a choreography ('procedure') for the individual participatory workshops, 3) the technical adaptation of CityScope interactive tables, and 4) extensive pre-processing of urban data. 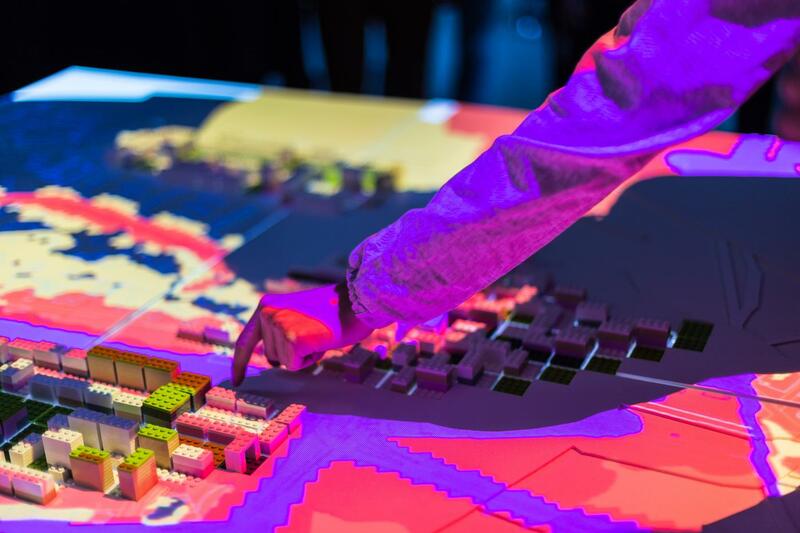 CityScope is an ongoing research project at the MIT Media Lab’s City Science group, featuring different iterations of an urban simulation platform with the goal of making complex urban questions accessible and tangible to various audiences. What differentiates CityScope from other highly specialized, experts-focused planning tools is its tangible, user-oriented design, prompting a discussion not limited by expertise or prior knowledge. In recent years, real-world CityScope deployments took place in the UAE, Shanghai, Andorra, Boston, Helsinki, Taipei, and more, each of which dedicated to a local urban challenge. A common CityScope platform features a tangible urban model (city, neighborhood, or street scale), a local computational analysis unit, a data and analysis server integrated with a Geographic Information System, and a feedback module. CityScope usually includes a set of color-tagged LEGO bricks acting as intractable, spatial UI elements. The computational analysis unit has sensors or cameras and computers for real-time scanning of interaction in the scene. The feedback module contains display screens, projectors, as well as AR, MR, VR, or touch feedback. Between May and July 2016, a total of 34, two-hour workshops were held at HCU campus with nearly 400 participants. Each workshop focused on one of the city’s seven districts. In total, 161 locations were suggested by the participants and evaluated by the authorities. With these, accommodation solutions for almost 24,000 refugees were proposed, exceeding the initial targeted goal of 20,000. More than half of the parcels were designated parks, green areas in inner-city locations, landscape, or agricultural spaces in rural areas that are mostly subject to nature or landscape conservation. Another 15 percent of the suggested parcels were used as sports fields or playgrounds. Others were parking lots, commercial and industrial areas, parcels designated for future housing projects, or port area parcels. Almost three quarters of the suggested locations were rated as not suitable in the initial assessment, leaving 44 rated as feasible. A further 24 were excluded after a detailed examination. Ultimately, six received recommendations for implementation and 10 were taken into consideration for future planning. Using the CityScope platform for refugee accommodation has shown how digital technology can effectively support social challenges and physical changes. The core issue of Finding Places—the refugee crisis and global migration—will probably remain a challenge of high urgency. Global socio-political developments may yield new migrant waves soon, and the challenge of accommodating refugees in cities of the destination countries remains acute. Beyond the Hamburg case, MIT and HCU CSL are actively promoting CityScope solutions to other world cities facing similar issues. A key challenge was the tight schedule in which the project needed to be implemented, since common developments of CityScope platforms require time and testing. Further, logistical limitations reduced the overall exposure of the CityScope tool: due to the physical size of CityScope , workshops were bound to be held at HCU; this naturally reduced the number of potential remote participants, thus contributing to a selection bias which is well-known in public participation projects. Another constraint was the lack of available urban data. Despite thorough pre-processing of urban data, non-expert participants had trouble understanding the professional planning content. As participants were not used to working with maps and satellite images, orienting the projected images and assessing them adequately was difficult. Most of these challenges are currently being addressed in the development of new CityScope platforms: open source, mobile, and easy-to-deploy CityScope platforms are currently being designed. Overall, successful CityScope deployments occur in the domain of three nodes: a clear research question (refugees housing, mobility modeling, or urban design, for example); a strong collaboration with local liaison (HCU for Hamburg); and system/UI/UX design that mitigates both (i.e, multi-station CityScope platform). Additionally, public recognition and support from professional stakeholders is crucial for successful CityScope research and innovation. Yet if a project is of high public or political interest—as the case was with FindingPlaces—the approach runs the danger of becoming instrumentalized by political forces or interest groups. In addition, sufficient data sources, research transparency, and clarity about participants' roles are critical to the users' acceptance and participation. Since 2013, CityScope deployments took place in the Riyadh, Shanghai, Andorra, Boston, Helsinki, and Hamburg, as well as in many other cities where the open source platform (or its components) where replicated. In some cases, such as in Andorra, Hamburg, or Boston, CityScope is in active use by both stakeholders and communities. At MIT, much of the current development of CityScope's next generation revolves around creating an open source, components-based, and scalable platform. This effort has the developing world in mind, so that less privileged cities could eventually incorporate CityScope in their planning and decision-making toolset. Currently, several global organizations are working with the CityScope team to allow deployments at scale for cities in their regions. In context of the FindingPlaces project, several bodies dealing with immigration (including the European Commission) have made CityScope FindingPlaces a case study and part of their future toolset for refugee accommodation. Applying a CityScope platform for refugee accommodation has shown how digital technology can effectively support social challenges and physical changes. By both stakeholders and participants, FindingPlaces was evaluated as a positive experience, and CityScope was recognized as a highly supportive instrument for public participation and real-time decision-making. FindingPlaces succeeded especially on the ‘soft’ level of human interaction: citizens felt like partners in an ‘eye-level’ dialogue with policy makers and city administration, being able to supply planning authorities with relevant information based on their local knowledge. The project built up acceptance towards refugee accommodation in Hamburg and triggered high-quality feedback. Making administrative procedures and decisions transparent effectively contributed to the ‘political literacy’ of the general citizenship. Nevertheless, these positive outcomes are subject to strong governmental support, not always available in other cases. Yet, if a project is of high political interest, there is a danger that CityScope tools will become instrumentalized by political forces or interest groups. Additionally, decisions made by CityScope developers might affect and even bias some of the outcomes, making CityScope more subjective and less open-ended. The core issue of CityScope FindingPlaces—the refugee crisis and global migration—will probably remain a challenge of high urgency, and tools and approaches as such will be needed again. 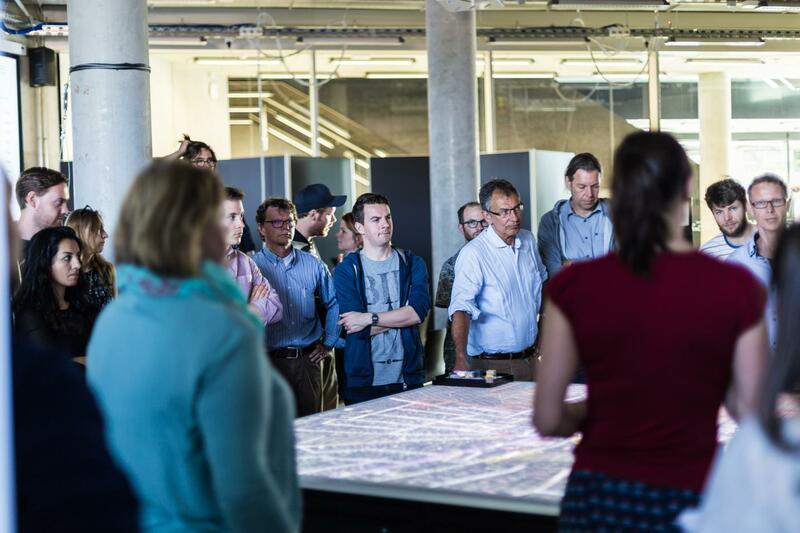 Deploying CityScope platforms in Living Labs such as Hamburg CSL enables a fruitful exchange between academic research and real-life challenges of the hosting cities.